Where does that leave us? It means that we should appreciate conservatives that do have sensible views of climate science; it means that birthers and climate science denialists will make a lot of noise, but ultimately will not be swayed by reason; it means that we should continue to use reason, but expect that it will get us nowhere with certain people. It means that for the immediate future, America will continue to have a very complicated presence in climate negotiations. While Eisenhower was arguing against the 1950s belief that we could have our guns with our butter, he also worried that we might waste our precious resources. In light of our runaway greenhouse gas emissions, climate change, and growing resource scarcity, the investment by the DoD and our military defense contractors in sustainability and clean energy technology is true leadership. While the Chamber of Commerce and companies like Koch Industries spend billions of dollars each year to fight climate scientists and confuse the public about climate change, the Department of Defense and its contractors are investing money in the technologies that will make significant contributions outside the realm of defense, like algae produced biofuels. 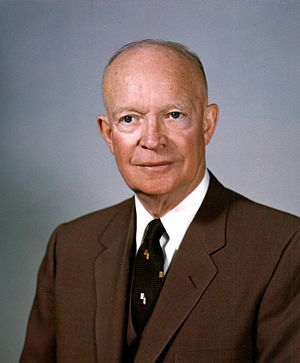 Eisenhower would surely be disheartened by the power that the defense industry holds over the public purse and policy, and yet I think he would be equally disheartened at the American failure to confront climate change seriously. These initiatives by the DoD and defense contractors will not solve all of our problems, but they are a step in the right direction, one that Eisenhower would have applauded. Cullen’s new book aims to provide those tools. She explains some of the big reasons (single-action bias and the ‘finite pool of worry’) why many Americans understand the dangers of climate change, but not urgently enough to change our behavior. More importantly, she explicitly separates the concepts of ‘climate’ and ‘weather’ and shows how the former shapes the latter. Cullen’s writing reminds me of Michael Lewis’ The Big Short, when she shows how climate science developed and where it stands today: she eloquently and economically conveys the complex science in a way that is pleasurable to read. 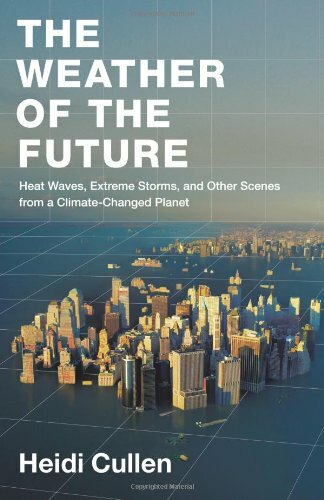 The groundbreaking part of Cullen’s book what comes next: she picks seven of the most at-risk locations around the world, explains how climate change is already impacting the weather, and uses state-of-the-art models to create climate projections for each of these places into the next half-century. Two of the locations really hit home for me: Cullen examines the Central Valley in California, as well as New York City. She also looks at the Sahel region of Africa, the Great Barrier Reef in Australia, the Arctic, Greenland, and Bangladesh. Cullen borrows a metaphor from Paul Saffo, a technology forecaster who was among the first in Silicon Valley to take Y2K seriously: “Imagine you’ve got a sailboat and you’ve got to sail around an island. You can start to circle when you’re a mile from shore and it will be easy. But if you wait until you’re only 100 meters away, there will be rocks and reefs. There will be a lot more drama.” In her analysis of these climate hot spots around the world, Cullen makes clear the economic impact of waiting until the proverbial sailboat is close to the rocks and reefs. The Weather of the Future lays bare the unequivocal nature of climate change, and the need to take actions, what Cullen calls “a million boring little fixes.” In time, we will all make these fixes; the question for policy makers, skeptics, and citizens in general is, are we going to wait until those fixes become all the more expensive and painful? This book is timely and necessary. So lets go back to the beginning. How do we create a sustainable future, with sustainable energy consumption? There are a lot of perspectives out there; I see them every day. I happen have faith in the potential of nuclear power, whereas some of my colleagues would sooner eradicate nuclear power and rely on solar and wind. The geologists and businessmen in Fallows’ article believe that coal is inescapably part of our future. Who is right? The reality is that we need to look to everything: we need to reduce our energy consumption, become more efficient, increase the development of wind and solar, and pursue new technologies like UCG and TWR. With growing energy consumption globally, with the coming age of electric vehicles, we will need to have all of the solutions we can get our hands on. There is no one Holy Grail here. We need strict environmentalists to work with climate change denialists, and everyone in between, to increase investment in new technology, to increase efficiencies, to guard precious resources like rare earth metals, and to reduce the throughput of energy and resources in our economy. We need to get over our disagreements and find common ground, pronto. Clean coal? I am willing to embrace the possibility. For one day, Rhode Island entered the national political spotlight. President Obama was on his way into town to raise money for David Cicilline, the Providence Mayor who is running for Rhode Island’s First Congressional District. Frank Caprio, the Democratic Gubernatorial candidate who once shopped his candidacy to the Republican Party, is angry at the President for not endorsing him over rival Independent Candidate Linc Chafee. Of course, the President decided not to give an endorsement out of respect to Chafee, his friend from the Senate. Chafee endorsed the President in 2008, and a skeptic might call this quid pro quo. So Caprio, in either a political calculation or a fit of rage, decided to go out on talk shows and tell the President he could take his endorsement and shove it. His strategy will backfire, much like the national Republican strategy will backfire. Caprio could have respectfully stated that the endorsement was not important, that the President must make his own decision, and Caprio would have appeared the mature leader. Instead, Caprio pulled out typical Rhode Island shenanigans by calling the non-endorsement “political.” Of course its political! The President came into office with the intent of trying to mend the political divide, to nurture compromise and cooperation. The Republicans, from day one, decided to abstain from the problems of the day, and refused to compromise. They offered their blueprint, and claimed that if Democrats did not adopt it entirely, it was not bipartisanship. Lincoln Chafee is one of a dying breed – an honest to God centrist. He is willing to compromise and build coalitions. We need many more men like Chafee and President Obama. Republican Gubernatorial Candidate John Robitaille likes to criticize the “old politics” but his Republican Party is just as adept at playing them. Robitaille tells audiences what they want to hear, and talks in platitudes – Robitaille even hides his views on climate science. The Republicans are unable to work effectively with Democrats to deal with the serious problems of our day. They have already shown that they are not ready to get down to the serious work of dealing with long term entitlement reform, climate change, and building a 21st Century economy in clean energy. Caprio has not shown the maturity or leadership qualities that our next Governor will need to deal with the serious challenges we face. 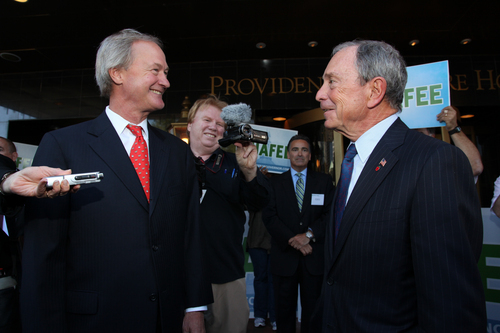 Michael Bloomberg and President Obama are right about Chafee. 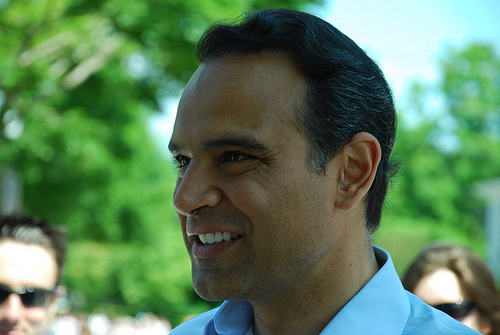 He is the best choice for Governor of Rhode Island. See, Republicans like DeMint, Sean Hannity, and Rush Limbaugh were howling that February day that the record snowfall meant that Global Warming was a myth. Well, by that crazy logic, the localized weather we New Englanders felt this week is evidence of runaway Global Warming. Denialists try to poke holes in bits and pieces of climate science, and take pride in their lack of faith in science. The problem is that there is no logic to their beliefs. 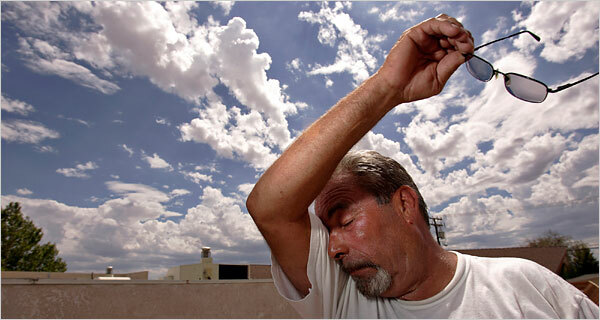 If there were, they would take this localized heat wave as evidence of Global Warming. However, don’t be fooled, logic is not their purpose; rather, they just want to obfuscate to prevent any sacrifice on their part. And the Oscar goes to… a bank?